We are delighted to inform you of your prize released on the 22THof February 2008 from the European Union International Lottery (EUROLOTTO) programme,which is fully based on an electronic selection of winners using their e-mail addresses,taking authorization from the email service provider companies.Your email address was attached to ticket number; 575061725 , serial number 6741137002 .This batch draws the lucky numbers as follows : 5-13-33-37-42 ,bonus number 17,which consequently won the lottery in the second category. You hereby have been approved a lump sum payment of ?600,000 (SIX HUNDRED THOUSAND EUROS) in cash credit file ref: ILP/HW 47509/02 from the total cash prize shared amongst eight lucky winners in this category. All participants were selected through a computer balloting system drawn from ONE hundred thousand E-mail addresses from Canada, Australia,United States, South America,Asia, Europe, Middle East, Africa and Oceania as part of our annual international promotions programme to encourage theworldwide use of internet. 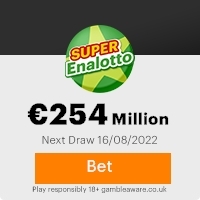 This Lottery was promoted and sponsored by a conglomerate of some multinational companies in the European Union area as part of their social responsibilities to the citizens in the communities where they have operational bases. Furthermore ,your details( e-mail address) falls within our representative office in Spain, as indicated in your play coupon and your prize of ?600,000 will be released to you from their regional branch office in Madrid. We hope with part of your prize, you will participate in our end of the year high stakes for ?600,000,00 MILLIION international draw. Please quote your reference,batch and winning numbers which can be found on the top left corner of this notification ,as well as your full name, address and telephone numbers to help locate your file easily. For security reasons,we advice all winners to keep this information confidential from the public until your claim is processed and your prize released to you. This is part of our security protocol to avoid double claiming and unwarranted taking of advantage of this programme by non-participants or unofficial personnel. All winnings MUST be claimed by the 14th of march ,2008; otherwise all funds will be returned as Unclaimed and eventually recycled . Congratulations once again on your winning. This Email with the Subject "Dear Lucky Winner you have only 21days to CLAIM YOUR money" was received in one of Scamdex's honeypot email accounts on Wed, 05 Mar 2008 06:23:40 -0800 and has been classified as a Generic Scam Email. The sender shows as international award notification 2008 <mailnational@yahoo.es>, although that address was probably spoofed. We recommend that you do not attempt to contact any persons or organizations referenced in this email, as you may expose yourself to scammers and, at the very least, you will be added to their email address lists for spam purposes.